Our world is in a constant state of change, but it is not always immediately clear how these changes will ripple through different markets. 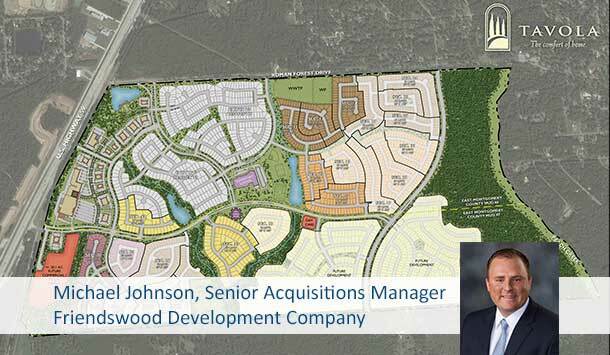 We decided to sit down with our client, Michael Johnson, Senior Acquisitions Manager at Friendswood Development Company, to talk about a few key issues at both the local and national level to see how they might be impacting Friendswood’s strategy in the residential market. Has Hurricane Harvey affected your projects or your business strategy? Have you noticed any shifts in the market or in buyer preferences as a result of the storm? Unfortunately, every business in Houston was affected by Harvey one way or another. Specific to residential development, the “Tax Day Flood”, “Memorial Day Flood”, and Hurricane Harvey have caused municipalities to reconsider their floodplain regulations. Harris County implemented new rules in January 2018 and the City of Houston is set to vote on new rules before the end of the month. The current City of Houston proposal is to raise the ground floor on any new structures to 2’ above the 500-year floodplain instead of 1’ above the 100-year floodplain. The impacts of such regulation changes must be considered and calculated on all of our ongoing and future projects including those within Harris and surrounding counties. Although the vast majority of flooding during Harvey occurred in structures built prior to 1990, we gathered information from this storm and have since adjusted our finished lot elevations where necessary to minimize risk of flooding in new homes going forward. Despite the recent storms, Houston remains a great place to live and work. Thousands of new jobs are being created and hundreds of new people are moving here every day, so the demand for new homes continues, and we are constantly adapting to find new ways to fill that demand. Has the new tax law affected the business model/growth projections for Friendswood Development Company in Texas? Some aspects of the new tax law will positively impact the housing market. 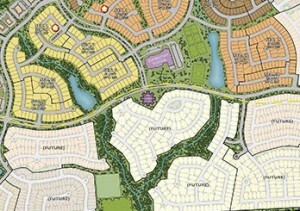 Friendswood Development Company is focused on the Greater Houston market and delivering affordable homes that range in price from the high $100,000s to more than $1 million, in communities where people want to live – in good school districts with convenient access to major employment centers. In the end, economic growth and more disposable income for the local population should increase new housing demand. However, the cap on mortgage interest write-offs and state and local taxes may reduce deductions for those owning higher priced homes. With innovations like driver-less car technology and drone delivery on the horizon, what impact do you think these changes will have on the design of your residential communities? Technology plays an important role in every industry and technology is ever-changing. Our value add as a developer remains our ability to deliver beautiful, functional communities to today’s homebuyers at an affordable price. Furthermore, we pride ourselves in partnering with first-in-class contractors, builders and utility providers in each of our communities that continually pioneer in their respective fields. From reliable water, sewer, drainage, and road infrastructure; to bringing the 1st Wi-Fi certified homes from Lennar; to providing fiber-to-the-home from AT&T and Phonoscope; to providing Wi-Fi enabled common areas, our communities must meet the diverse technological demands of today’s new-home buyers.